COMPHY Sheets - Changing the world one bed at a time! Luxurious Comphy Sheets are found on all the beds at Abbeymoore. They feel like luxurious high count cotton but are actually made from a breathable eco-friendly high performance micro-fiber. Aside from feeling great, these sheets need no ironing, dry quickly, and are non-allergenic. 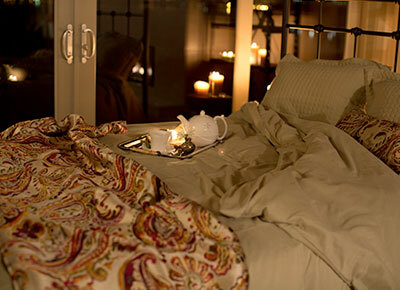 Comphy sheets are used in 5 Star resort spas and luxury Bed and Breakfasts around the world. Given that we spend almost 1/3 of our life in bed shouldn't we be COMPHY? To order Comphy Sheets and Linens direct from Abbeymoore click here!